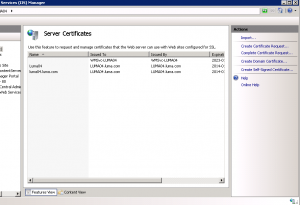 Our SCSM installation was made by a 3rd party and our certificate expired yesterday. This helped me solve the problem! In my case the portal needs to be accessible from computers outside of the company domain network. 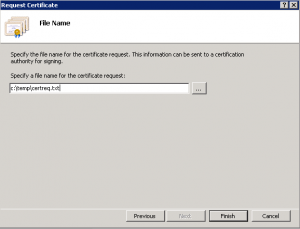 Could you please advise the steps required to get a Certificate from DigiCert? 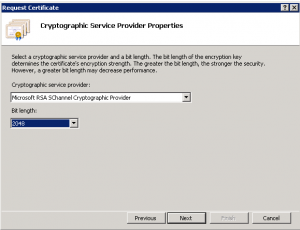 I used to issue SSL from internal Domain CA. 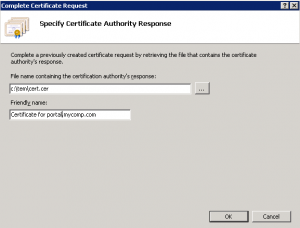 Which Certificate is suitable for ServiceManager portal? I can see my different types offered by DigiCert. Could you please point me to right direction? 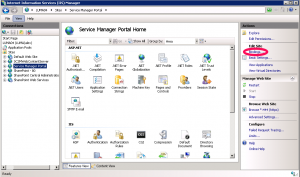 Yes you can absolutely use a DigiCert if publish the portal for computers outside the network. You can order a standard SSL certificate from DigiCert, using the CSR-textfile that is created in my post. 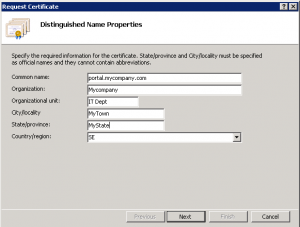 You just upload it to DigiCert when you purchase the certificate and they will return a certificate to you that you can import into IIS, the same way described in the post. Sorry I didn’t understand “CSR-textfile” that you mentioned above. From where can I get it to upload it to Digicert? 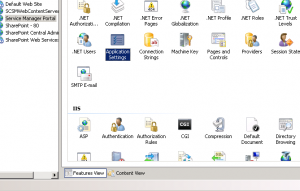 I generated the CSR-TextFile using DigiCert Util from SM Portal Server, is that ok? 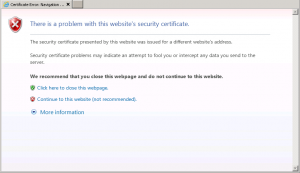 I bought DigiCert Standard SSL and everything is working great! 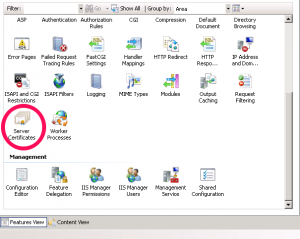 I have another question, I noticed that when I need to login to the SM Portal, I need to authenticate twice, first for Sharepoint I believe and the second for the WebContent, this is annoying for users. How can we make it to authenticate only once? I’m glad to hear that you got it to work in the end. Well the login prompts is because the users are sitting outside the domain, and the Portal loads from 2 different websites (hence the 2 logins). To be able to solve this for the users outside the domain, you would have to use some kind of reverse Proxy to publish the Portal. Like the Forefront TMG Server for example. 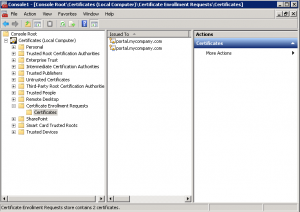 The Proxy will act as a man-in-the-middle between the client and the portal servers, request one set of credentials from the user and pass these on to the Portal and WebContent sites.